The prediction report entitled Beyond the Government CIO: Chief Data or Digital Officers? also forecast that 10 per cent of government organisations will appoint a chief data officer in 2014. Andrea DiMaio, managing vice president at Gartner Italy, said digital government strategies issued in several countries are creating demand for the roles. He said that the newly created roles are likely to coexist with more traditional ones, like CIO and CTO, in the short term. “Government CIOs must establish good working relationships with chief data officers or chief digital officers to support the digital strategy, and identify areas where they can add value to a different role's responsibility,” DiMaio said in a statement. However, he warned that the overlapping roles and lack of a clear distinction about responsibilities on information management will lead to a rebalance. Gartner US research director Rick Howard said the most vulnerable role will be that of the chief data officer due to tension between the CIO’s internal focus and the external focus of the chief digital officer. 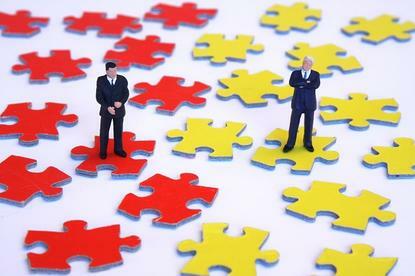 “The application of open data principles to data other than public data will give CIOs the ability to regain a key role on driving the data architecture well beyond the externally facing remit of a chief data officer,” he said. According to Howard, the chief digital officer and CIO will become “information custodians” in the next five years. However, it will be up the government organisation to decide if they want both a chief digital officer and CIO. The report predicts that by 2017, more than 60 per cent of government organisations with a CIO and a chief digital officer will eliminate one of the roles. “Most likely, the chief digital officer role will be absorbed by, or become indistinguishable from, the CIO role. In a minority of organisations, the reverse might be true, mostly due to the negative connotation of the CIO as a role of the past. It is quite possible that the new integrated title will be chief digital information officer,” said Howard.